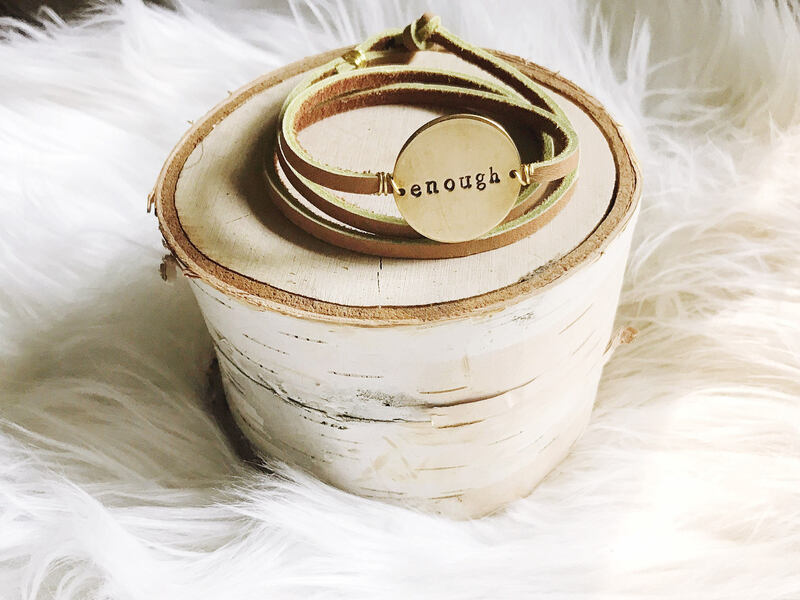 Brown Leather Wrap Bracelet || Customizable Wrap Bracelet || Round Tag Leather Bracelet || Mantra Wrap Bracelet || Geo Supply Co. 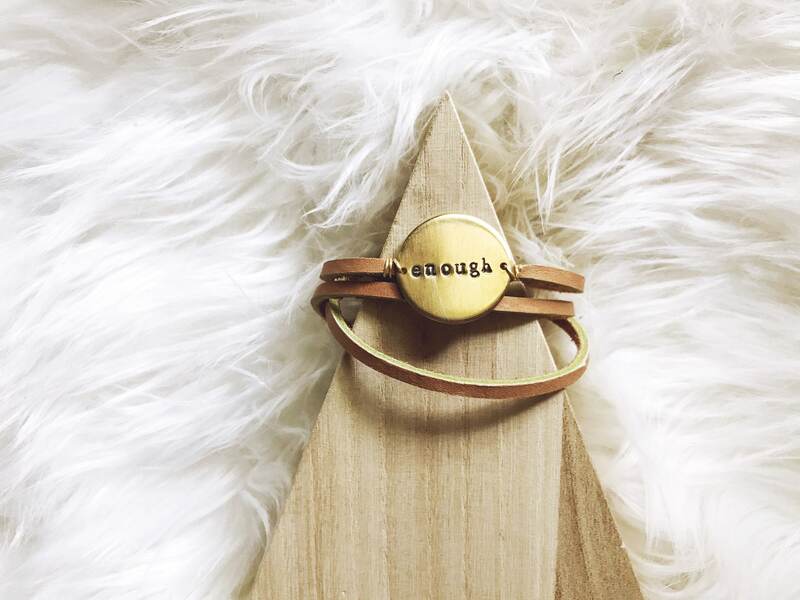 This leather wrap bracelet can be personalized with a meaningful word, date or short phrase! 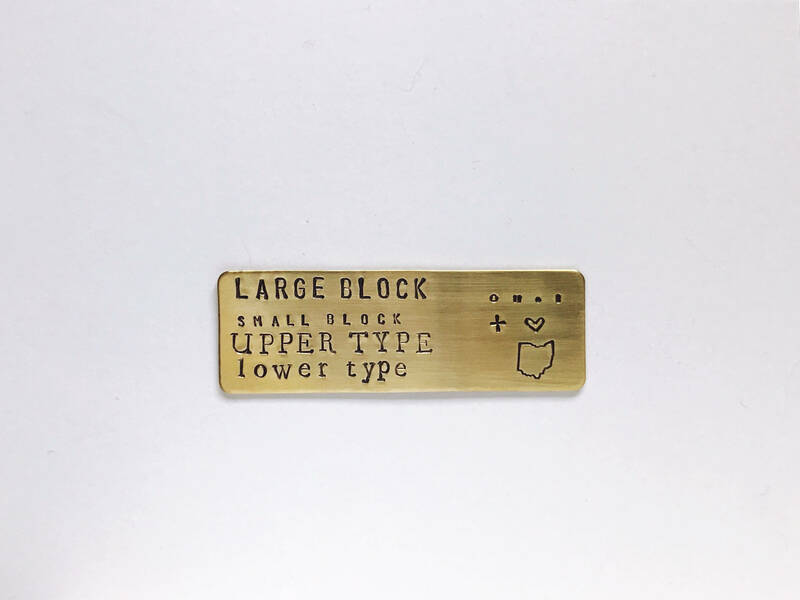 The round tag is made of NuGold or Aluminum and measures 1" across. Please read the instructions below for customization details. The genuine brown leather may vary in color. 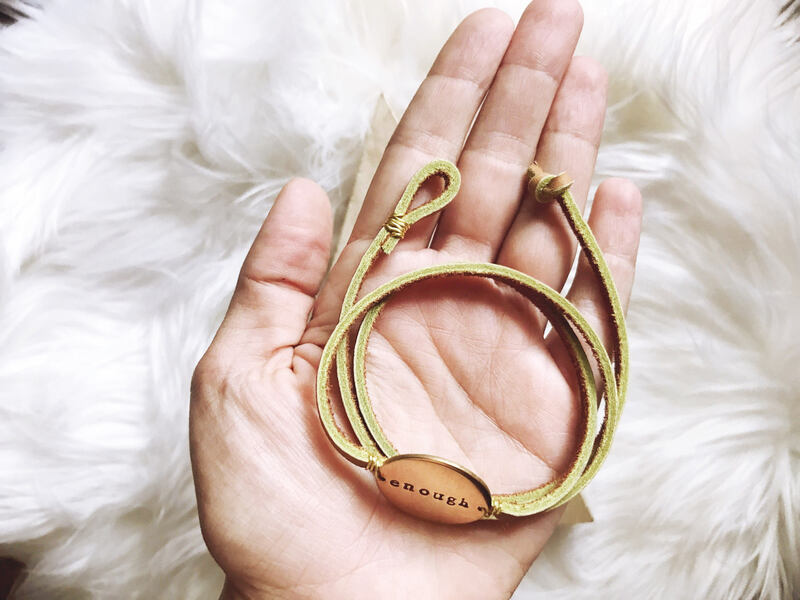 This bracelet wraps three times around the wrist and has a loop and knot closure. The knot can be adjusted! For this piece, the circle can fit across 7 large Block letters, Upper Type letters and Lower Type letters. The circle can fit across 10 of the Small Block letters. A max of three lines of text. Keep in mind this is a round shape and some inscriptions may not fit. Please see the last photo for examples of the fonts. 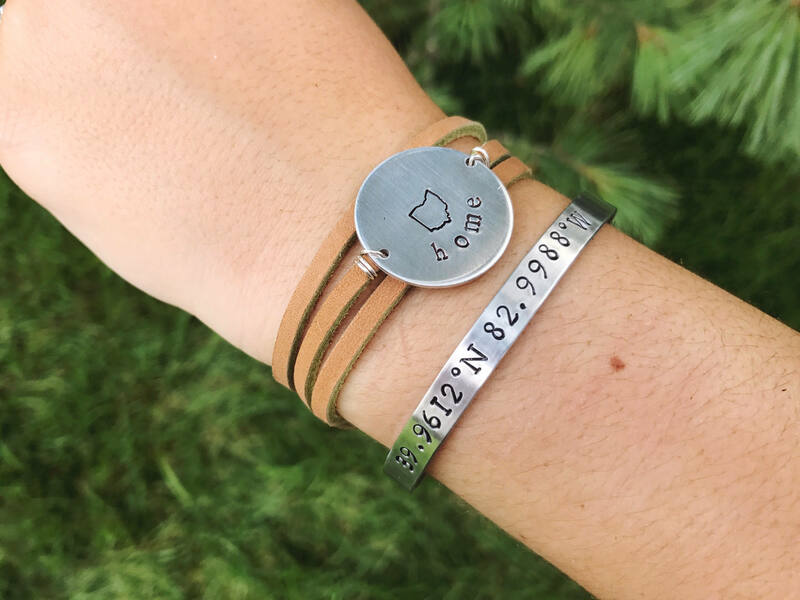 - Count the # of letters and symbols you'd like on your cuff: This INCLUDES Spaces! 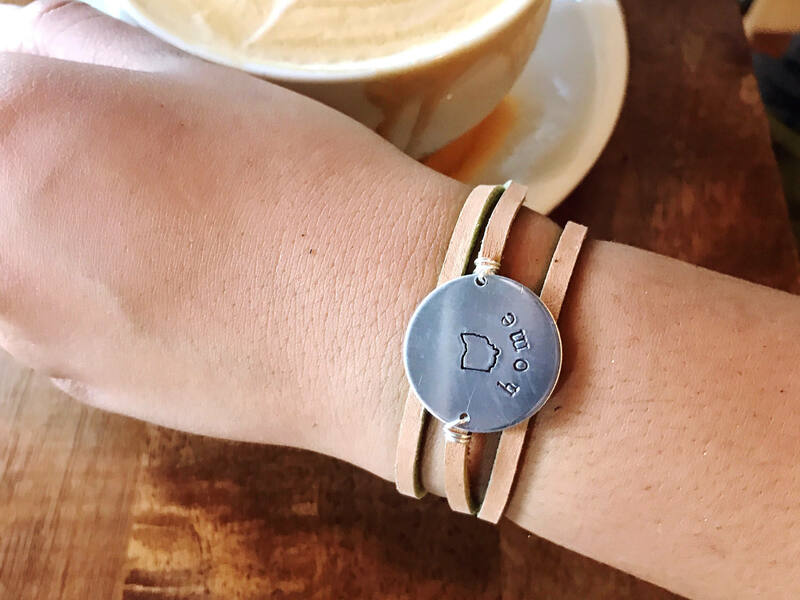 - In the "Note to Geo Supply Co." section at checkout, leave a detailed description of what you'd like stamped and with what font. 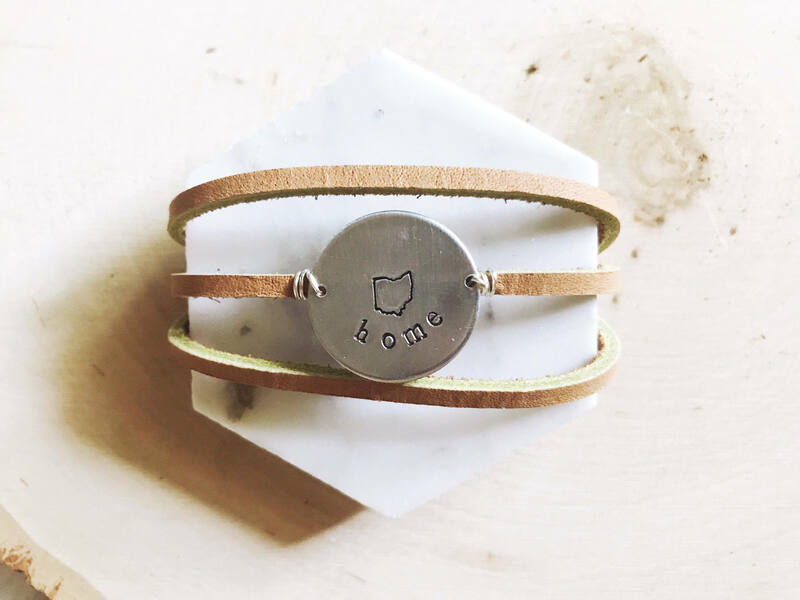 Characters like the Ohio stamp, heart stamp, etc. can be fit in on a separate line. IMPORTANT: please specify what font you'd like (including if you'd like uppercase or lowercase) and if you'd like the letters to be darkened or unfinished.